Since it's summer and I'm not going anywhere on vacation, I've decided to take a bit of a reading vacation. No, I haven't stopped reading. I'm reading books I want to read. Books I picked out for myself. And most importantly - Books I don't have to review. I thought I'd share what a blogger reads for fun. 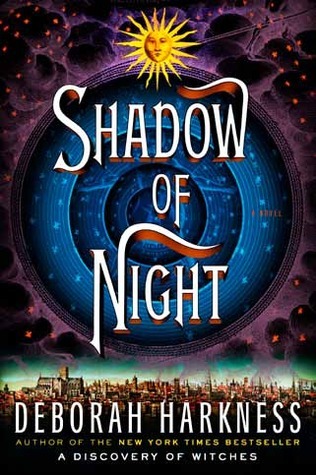 I won a paperback copy of Shadow of Night by Deborah Harkness at the end of May. I reviewed the book when it came out in hardback earlier this year. Since it was a library copy, I read it really fast and had wanted to re-read it a bit slower. So that's just what I did. I was shocked by how much I had forgotten of the story. I should have re-read Discovery of Witches, too. 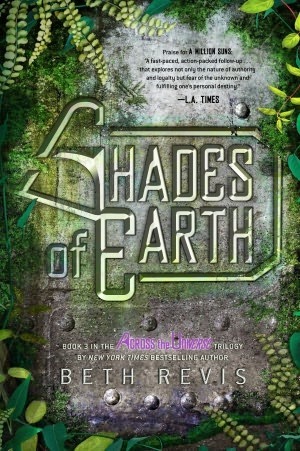 The third installment of Beth Revis's series came out this year. It takes my library system forever to get a copy (it wasn't a very popular series in m area apparently). Shades of Earth was a good read. I actually read it in one night. Thankfully I picked it up on Friday. I stayed up until 1 am or something because I kept telling myself 1 more chapter until I turned the last page. I thought it was a good ending to the series when I was all wrapped up in reading it. The next though a few questions surfaced (I'm a biologist and some of the genetics stuff bothered me a bit). Overall though I recommend this series to fans of YA sci-fi. 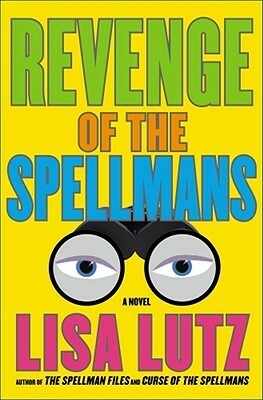 My friend J.B. Lynn had recommended Lisa Lutz's Spellman Files series. I happened to be wandering around the library - I was waiting for a librarian to be free to assist me finding a book I needed - when I spied The Spellman Files. I debated picking it up. I have a ton of books to read and review. Yet, as I debated with myself I realized it was only half-hearted and picked up the book from the shelf. It reminded me of the television show Veronica Mars - I even heard Kristen Bell's voice in my head. Isabel (the main character of The Spellman Files) is a PI as is her family. Unlike Veronica, the craziness does not come from the neighbors. No, the wackiness is her family. I quickly read through The Spellman Files and luckily my library had the second on the shelf. I again did the half-hearted debate (I did finish an audio book and a couple of ebooks for review) so to the library I went to check out Curse of the Spellmans. This one didn't have the Veronica Mars overtones. Instead, Isabel reminded me a lot of Maggie from Confessions of a Slightly Neurotic Hitwoman by J. B.Lynn I even caught myself calling Isabel Maggie a couple of times). It was a very enjoyable read, though I feel a little sad for Isabel. Knowing my library didn't have anymore in the series I looked at the other branches. On Sunday I put a hold on Revenge of the Spellmans and was pleasantly surprised to see my request was filled on Monday. If you are looking for a light read this summer I HIGHLY recommend this series. I think there are at least two more in this series. I'm on vacation next week so will probably finish up the series. Hopefully that will coincide with the availability of J.B. Lynn's next Hitwoman book. That would make the summer perfect. Girl Who Reads is an Amazon advertising affiliate; a small fee is earned when purchases are made at Amazon through the links above. I won Shadow of Night, the other titles where obtained from the library.